4/12/2019: This article has been updated to show that comments made by James Thomas reflect his own views and not those of the authors of the UM Race Diary Project. In the wake of Ed Meek’s viral post, a faculty-led attempt to move Ole Miss forward was lost in the tumult. The fallout that came to define the fall semester buried a social study of racism, sexism and exclusion on the Ole Miss campus — 77 pages of evidence that Meek’s post was not an isolated incident. UM sociology professors Willa Johnson, Kirk Johnson, James Thomas and John Green unveiled the “Microaggressions” report from the UM Race Diary Project, a survey nearly five years in the making, on Oct. 10, 2018 — just three weeks after Meek’s Facebook post. The timing of the report’s release and the Meek debacle are coincidental, but their implications are not. Neither are their origins. “Meek’s post about these black women can be understood alongside other examples that appear to be discrete, isolated examples but, in actuality, are cut from the same cloth,” Thomas said. Kirk Johnson, Willa Johnson and Green declined to comment on this story and clarified that comments made by individual authors do not represent the views of the UM Race Diary Project team. Just under 1,400 personal accounts from 621 undergraduate students included in “Microaggressions” show a campus still struggling with an identity rooted in the past. Though 67 of these entries highlighted moments of “empathy” or “concern” for marginalized students, the overwhelming tone of the documented behavior reflects the same bigotry Meek’s post was criticized for promoting. 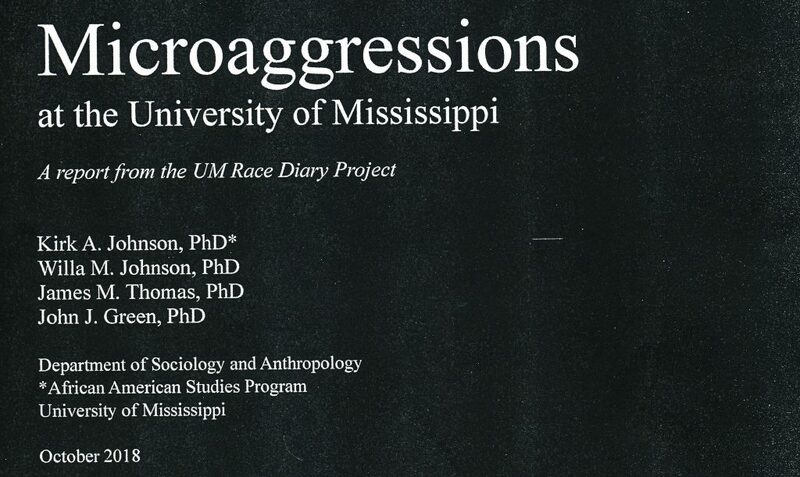 Leaders of the UM Race Diary Project released a report titled “Microaggressions at the University of Mississippi,” last semester. Researchers began collecting data about the racial climate on campus in 2014. The sociologists met with UM administrators in September 2017 to plan for the release of the study and to organize Provost’s Forums in response. But when the time came to publish the “Microaggressions” report in October 2018, those forums never happened. 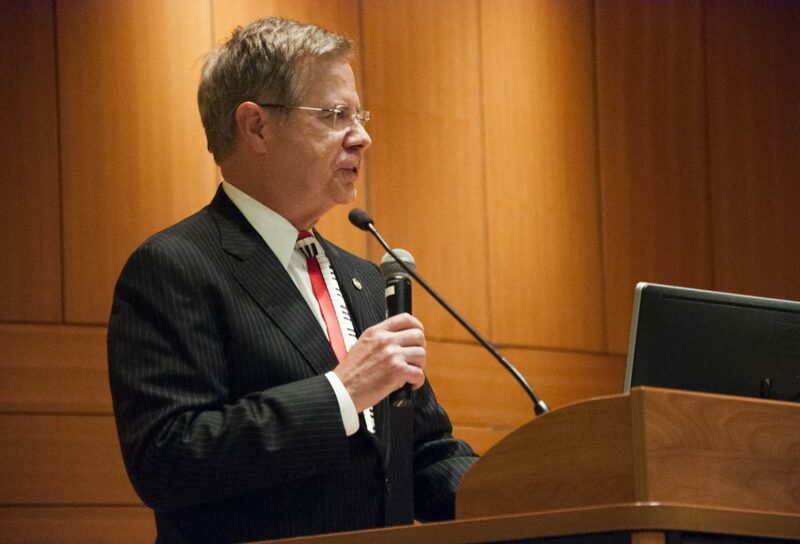 An op-ed attributed to then-Chancellor Vitter criticizing the report, a viral tweet from one of the authors and the negative attention that followed sealed the Race Diary Project’s fate as another attempt to change Ole Miss that was lost in the shuffle. The project’s authors have cited the detrimental effects of accusations made by Vitter and the administration’s complicity in those accusations as the reasons this study did not lead to increased campus programming. 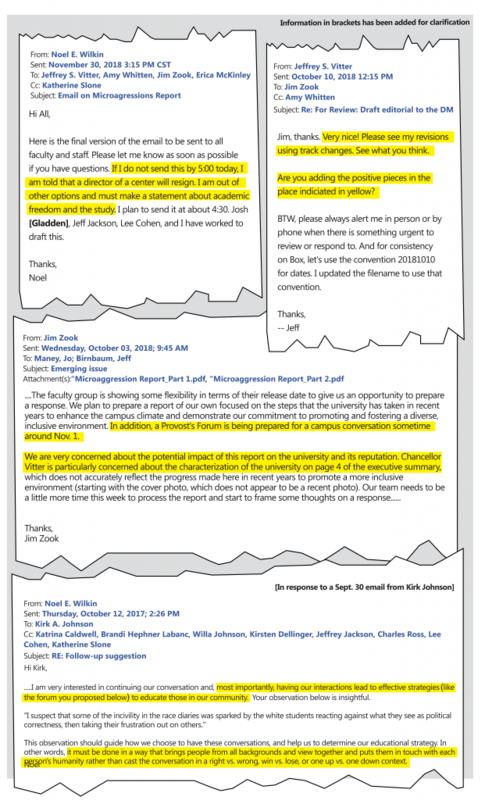 Email correspondence between the authors and upper administration from as far back October 2017 and as recently as October 2018 obtained by The Daily Mississippian indicate that they met and planned to bolster the release of the project with events on campus. “I am very interested in continuing our conversation and, most importantly, having our interactions lead to effective strategies … to educate in our community,” Provost Noel Wilkin wrote to Kirk and Willa Johnson on Oct. 12, 2017, following one of those meetings. 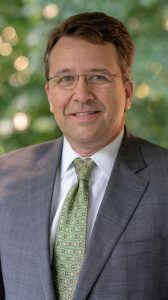 “In addition, a Provost’s Forum is being prepared for a campus conversation sometime around Nov. 1,” Zook wrote in an email to two representatives from BGR Group, a lobbying firm based in Washington, D.C.
Wilkin confirmed that he planned to host Provost’s Forums on the researchers’ findings but that in the days after the report’s official release, the authors decided against it. Thomas said he believes that decision was based on the negative reaction to the project once it was published. “Due to the fallout from the Chancellor’s op-ed, the planned forum was canceled,” Thomas said. Thomas and the other authors of the report came under scrutiny following the public instances of the chancellor distancing himself from their project and from Thomas’s tweet. They received threatening messages from people who claimed to know where their offices were located on campus and where their children went to school. Because of the intimidating and disturbing attention the authors felt in the aftermath of the report’s release, Willa Johnson eventually requested that the scheduled Provost’s Forum about the report be canceled. Though it was presented as Vitter’s “personal observations,” email correspondence shows that former IHL board trustee Amy Whitten, Zook and Director of Institutional Research, Effectiveness and Planning Katie Busby helped draft his Oct. 10, 2018, op-ed. The final product asserted that the UM administration was disturbed by what the report found, but some of the “Microaggressions” authors felt it intentionally stayed clear of offering support and thanks to the faculty researchers. Wilkin clarified that he was sent a copy of Vitter’s op-ed after it was submitted to The Daily Mississippian. The authors of the “Microaggressions” report were not aware of Vitter’s op-ed before it was published, and upon reading it, the sociologists’ approach changed. “As with the way the release went – I’m of course not happy about it because of how it was tainted just one day later by the Chancellor’s op-ed,” Thomas said. Former Chancellor Vitter resigned from office on Nov. 9, 2018. Three weeks after Vitter announced his resignation, upper UM administrators released a second letter meant to address the controversial comments made in Vitter’s op-ed. They acknowledged that the op-ed “engendered unintended questions about the validity, integrity, and ethical nature” of the UM Race Diary Project. Email correspondence from Nov. 30, 2018, indicates that Wilkin was attempting to perform damage control by releasing that letter. “I am told that a director of a center will resign. I am out of other options and must make a statement about academic freedom and the study,” Wilkin wrote in an email to Vitter, Whitten, Zook and Ericka McKinley, the university’s general counsel, on Nov. 30, 2018. Wilkin did not confirm the identity of the “director of a center” who threatened resignation or the reasoning behind his or her potential resignation. That “Affirmation of Academic Freedom” was released that day and signed by Vitter, Wilkin, Vice Chancellor Josh Gladden, College of Liberal Arts Dean Lee Cohen and Sociology and Anthropology Chair Jeffrey Jackson. “To date, I have only ever seen statements declaring our commitment to academic freedom as an institution, but nothing that explains what actual steps our administration takes, or plans to take, to demonstrate their commitment,” Thomas said. The “Microaggressions” report emphasizes that offenses like Meek’s post will continue to arise in places that accept and, oftentimes, embrace those derogatory views. Its conclusion calls for “vigorous educational programs and rigorously enforced prosocial policies” to prevent microaggressions. Two years ago, Katrina Caldwell joined the UM campus in 2017 as its first vice chancellor for diversity and community engagement. She wrote in an email to Wilkin on Oct. 31, 2017, that her office was working on projects similar to the Race Diary Project “to help develop ‘a culture of tolerance and civility.’” She asked Wilkin for guidance on how best to “navigate” her involvement with campus programming related to the “Microaggressions” report. “I am not territorial (there is a lot of work to be done), and I don’t believe that every diversity effort needs to be coordinated through my office. I just don’t want to duplicate effort or give the impression that my office is not working,” Caldwell wrote. Assistant Vice Chancellor for Diversity and Community Engagement Katrina Caldwell spoke on diversity at the vice chancellor’s open interview session in 2017. Photo by Kamera Griffin. She arrived on campus after the data collection period for the “Microaggressions” report concluded at the end of the 2014-2015 school year, but her office was notified of the upcoming publication almost immediately at the start of the 2017 fall semester. Caldwell acknowledged the fact that neither her office nor other administrative groups have held forums or programs directly in response to the “Microaggressions” report. She pointed out that Kirk Johnson spoke on a panel sponsored by the Center for Excellence in Teaching and Learning last week, the only example of such public events she referenced. Six months after the study’s release, the university has not hosted any events or implemented any programming based on the findings of the UM Race Diary Project despite a clear intention and a year’s worth of planning to do so. Heightened tension on campus brought on by Meek’s Facebook post and exacerbated by Vitter’s public comments seems to have overshadowed the importance of the “Microaggresions” report. Now that that Meek’s name is gone and a new interim Chancellor sits in the Lyceum, the university has a chance to revisit the project. The authors still wonder if this will happen.